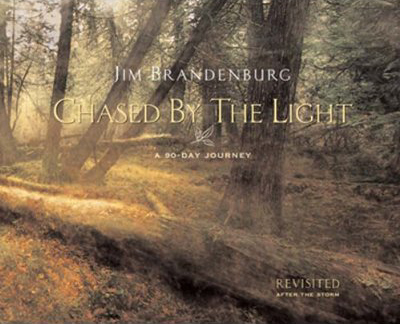 Chased by the Light is an absolutely excellent book. Maybe it is so popular that you have heard of it and own it already, if not it is worth taking a look at. The photography is excellent because of what it is a part of, taken in context of the project all of the images become special. I think that is what a lot of photographers try to communicate to their viewers with stories of how they suffered and endured to make a particular photograph, that sense of context. Context is there when I view a photograph of mine because I was there, it is not there for you the viewer except for what you can draw from the image and add to with your imagination. It is a dilemma that is perplexing for a stand alone piece of work for an artist; will the viewer “see it”. Well…back to the book, Jim in writing this book does an excellent job of completing the missing contextual information and out comes a superb book that is revealing, inspiring, and thought provoking. I have enjoyed it immensely, take a look.